What is a Low-E Window? Looking to buy new windows, replacement windows, entry doors, patio doors or siding? 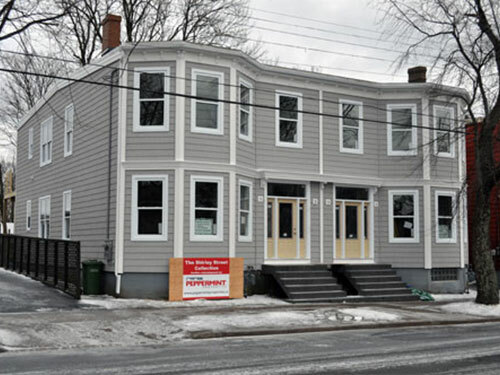 Alweather Windows & Doors has over forty years of experience and is an industry leader in Atlantic Canada. We offer a wide range of Canadian made windows, doors, and siding – all custom fit, energy efficient and durable enough to last a lifetime. On top of having a wide array of products, we also have our very own in-house installation crews to help turn your renovation project into a reality. Alweather has always been focused on providing high quality windows, from the basic, economical window to the high end and stylish creation. Our windows are available in all models: casement window, awning window, hung window, sliding window, bay and bow window and even in special shapes. We also have hybrid Aluminum-PVC windows, wood windows and all-aluminum windows. All of our windows and installations are backed by one of the best warranties on the market. Whether it is for your entrance way, patio, garage or garden, we have doors that are built to stand up to our harsh Maritime climate, made of a variety of materials, including steel, fiberglass, PVC, and aluminium. With a wide array of shapes, colours, decorative glass and options, our doors will highlight your home while offering comfort and durability. Siding is an integral part of your home. Much like skin, it’s the first line of defense against the elements. 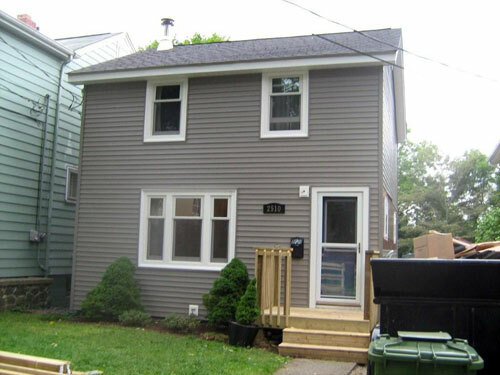 Alweather is pleased to help you with all of your siding needs. 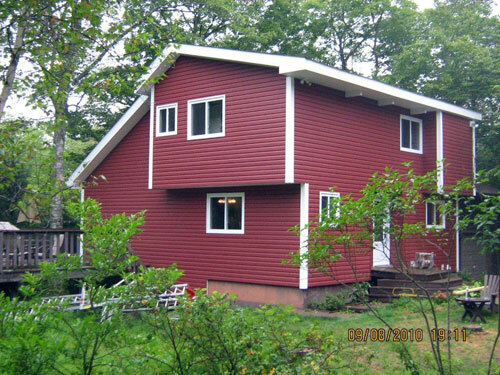 We supply and install a full line of vinyl siding, cellular composite siding, aluminum, etc. in variety of colours and price ranges. At Alweather, we have a wide range of windows, exterior doors and siding, so we are confident that we have the right products to meet your needs. Once you have decided which windows and doors are best suited to your home, we take exact measures and order your precise, custom fit windows and doors. Our professional installers are best suited to install and trim your windows and doors, and offer installation that will enhance the look of your home and last a long time. All products we install are under warranty by the manufacturers and we offer full after-sale service whenever needed. Here are some of the major renovation projects that we have completed over the years. Get inspired by our window, door and siding replacement transformations. We offer a FREE no obligation quote where one of our sales associates will go to your home, measure your windows, door, patio door, siding, and discuss various options and installation services. Sign-up to receive our monthly newsletter which includes information about our promotions, products, contests and events. Thank you for signing-up for our newsletter!